Welcome to my segment on Survival Food and Preparation. 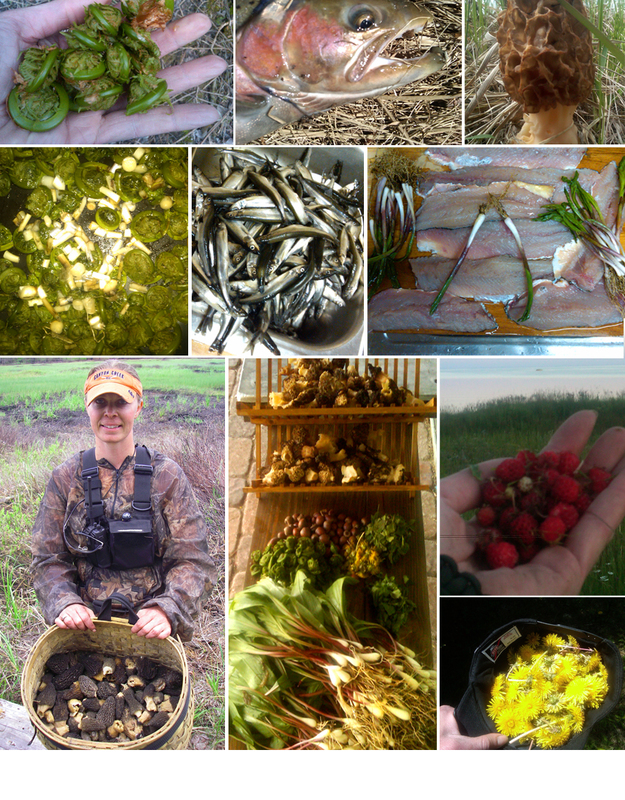 Food can be hunted or fished for if you have the proper tools in your survival kit. Some tools that can aid in fishing for food in an emergency are listed below. I carry a small emergency fishing kit in an old prescription pill bottle in my survival kit. The bottle has my name on it and way to trace who I am through my doctor in an emergency. I also write one there emergency contact information with a permanent marker. The prescription pill bottle can be used as: an emergency fishing bobber, as an emergency floating message in a bottle, a container for fishing hooks, plastic worms, and fishing sinkers, a swivel, and a metal leader for predatory fish. Around the emergency fishing kit, I wind fishing line. The kit is lightweight, inexpensive, and can be made in minutes. Tools that aid in hunting and trapping are narrow gauge wire such as: picture hanging wire and copper wire, "bank line", and "paracord". Bank Line can be used in a plethora of ways; including but not limited to: traps, snares, landing nets, gill nets, trap nets to name a few. 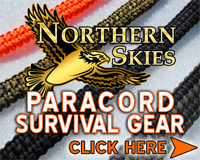 Paracord can be used as: a foot bridge to ford a river, a way to affix food up a bear pole for bear-proofing, to make a shelter ridge pole, to lash a shelter or raft together, to lash cedar bark to a shelter to keep the wind from blowing it down, replace shoe laces, make snowshoes, to pulley big game for processing, to make a fire making-bow drill, arm sling, tourniquet in a dire emergency, to make a food smoker, to hang containers over a fire to boil water or cook food, to lash homemade splints to a broken leg and many, many, more uses. In a survival situation food can be cooked by: skewering on a stick kabob, on a sting spit with two y-stick supports, hanging from a stick tripod, bamboo (if in the area), wrapped in green grass or leaves and then caked in mud and cooked on hot coals, over hot rocks, and in boiling water in a container to name some ideas. Food can be sun dried or fire dried over a spit or a drying rack. Wild Edibles can also be dried and hydrated upon use. Salt can be used if available as a preservative. Homemade fish, berry, and or meat pemmican can be made if fresh animal fat is available. Pemmican can remain edible, unrefrigerated for years unless the grease becomes rancid. Cut or break meat and or fish and or wild edibles into small pieces and work into softened congealed fat. Roll in a sausage shape and leave in the sun to hard set. Food can be very successfully smoked over a fire. The easiest way to smoke food is via erecting a stick teepee with rack or to hang meat. If you have a survival tarp, wrap tarp at and above the food level tightly. Place the tepee or tripod smoker over a small fire and add wood to the fire slowly creating a small consistent fire. Green wood can be added to increase the flavor. Food can also be eaten raw in most cases. Eating steak tartar, raw meat is recommended by most naturopathic doctors. Raw meat has enzymes that are destroyed in the cooking process that are beneficial to digestion. Cooking food removes many vitamins and nutrients and expending a lot of calories. Remember Arnold Schwarzenegger eating raw eggs. My doctor recommends adding more raw meat and eggs to my daily diet. Raw meat can sometimes contain parasites like in insects. Raw Mushrooms can sometimes contain small grubs also. (So, do at your own risk.) Prior to our descendants discovering fire, they ate raw meat. 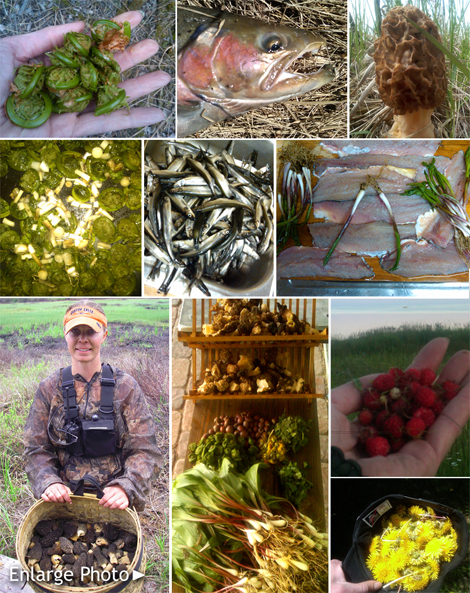 Wild edibles can also be eaten raw in most cases. Food can be frozen in ice to preserve or kept cool in a cool lake or stream. A root cellar or rock crevice can be made or found to keep food cool also. Disclaimer: The information on the Wild Edibles page(s) or the Wild Edible Gallery is intended to provide general information only. To the best of my knowledge the information contained herein is correct. Wild Woman Outdoors asks that you do not eat or touch any wild edible plants, herbs, weeds, trees, insects, wild game, or bushes until you have verified with your doctor that they are safe for you. 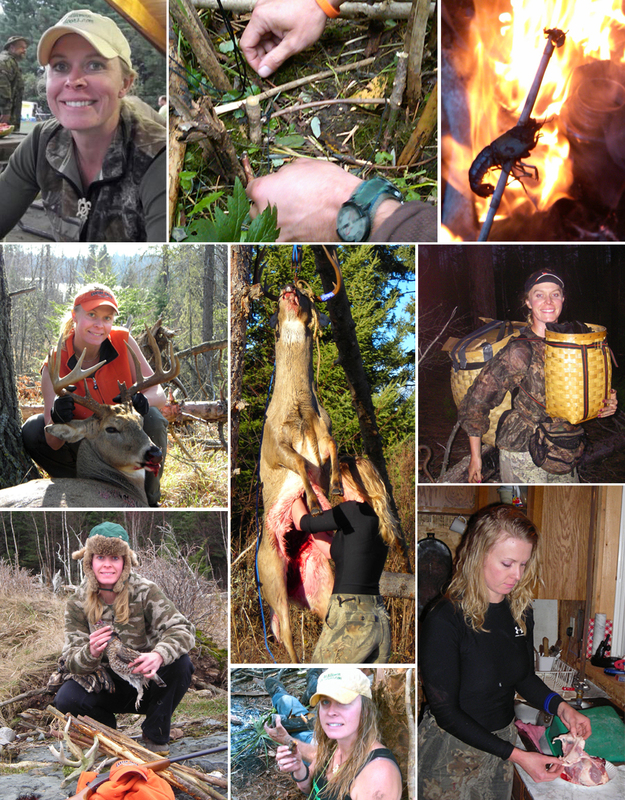 No liability will exist against Wild Woman Outdoors or anyone who works for or volunteers for Wild Woman Outdoors; nor can they be held responsible for any allergy, illness or injuries that anyone may suffer as a result of the information and photos given within this website. Information provided is not designed to diagnose, prescribe, or treat any illness or injury. Always seek the advice of your doctor when suffering from any health ailment or injury. Keep all plant matter away from children. All natural products can be toxic or dangerous if misused.